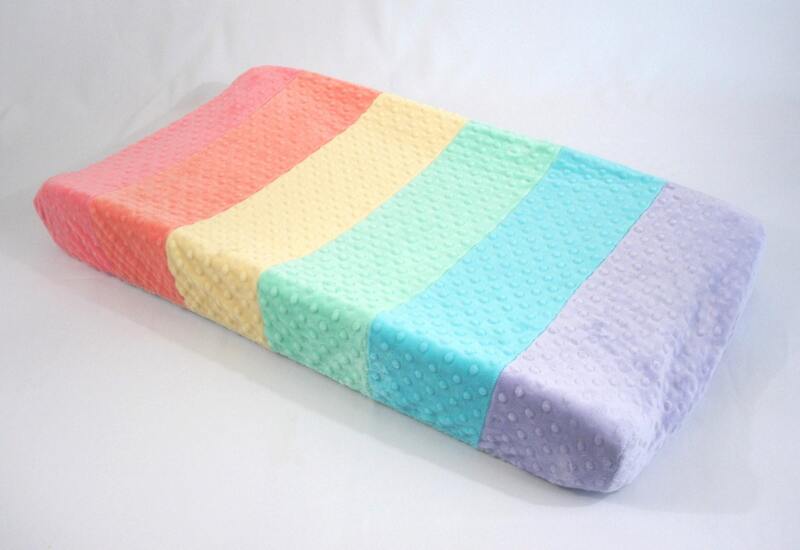 Soft minky changing pad cover in your choice of color plus accent color blocking stripes. Fun and easy way to add accent colors to baby's room. I asked for mine to have different colors, and I couldn’t be more pleased with how the colors turned out! It was completed and shipped super fast. It is a perfect addition to my nursery theme. I will probably shop again for Boppy covers! Love this cover! Quality made, soft fabric, and love that I could pick different colors. Exactly what I was looking for. Colors were true to the picture and material is very soft. This is exactly like the picture, gorgeous bright colors and very soft. Fits well on my Summer Infant Contoured Changing Pad. I was worried what the seams between the colors would be like, but they are smooth and it is very well done. It arrived in about 10 days.